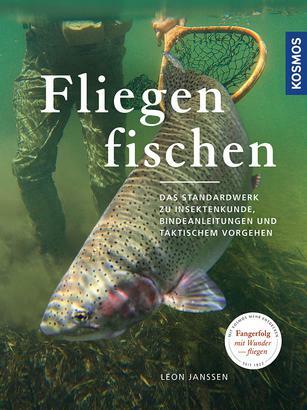 Leon Janssen, for many years one of the best-known names in the fly fishing community, covers in his terrifically illustrated definitive book the entire bandwidth of this fascinating sport. Divided by the “five seasons” of fly fishers, the author describes the best flies and the fish you can catch with them during each season. In the process tactics and techniques are described in just as much detail as casting and equipment. Here every reader, from the beginner to the professional, feels that he has received wise and serious advice. Leon Janssen ist studierter Entomologe. Der Belgier hat 25 Jahre Erfahrung im Fliegenfischen und ist für seine Passion weltweit unterwegs. Auch in Deutschland hat er sich einen ausgezeichneten Ruf als Experte für diesen Sport erworben.